From a USA Today Bestselling Author - A Readers' Favorite Five Star Read! She's a gamble he's willing to take. When world-class poker player Patrick Tyler meets his match, Tahlia, in an underground game, he's immediately drawn to her swift talent and striking beauty. But it's not long after their meeting that she mysteriously disappears. With nothing but a bloody crime scene as a clue to her whereabouts, she's presumed dead. Alone, afraid, and homeless, Tahlia needs Patrick now more than ever. Feeling compelled to help, he throws her a much-needed lifeline--a lady's choice card game. When Tahlia's family finds out Patrick's plans, they will stop at nothing to get their hands on her. Will Tahlia be able to protect him from her family or will this game of high stakes end in the most devastating loss? Each novel in the Singular Obsession series is a standalone featuring a different couple. HEA guaranteed ♥. Not suitable for readers under 18. He was supposed to seduce her with his charm and his good looks. She saw through him in a way he never expected. Tony McIntire has spent his life sliding by on his appearance. His laser blue eyes and washboard abs have been the key to winning the attention of any woman he set his sights on. He thought Mila Samuels, a simple music school teacher, would be easy to win over. But once he meets her, he realizes that Mila doesn’t care about the man he is on the outside, only the man he is on the inside. Mila Samuels lost her eyesight when she was a child. She’s lived her life on the run and hiding from a man who took her from her family, tortured her and held her captive. She’s never had time for love, and doesn’t expect it when she rescues Tony from the clutches of a terrible woman who only wants to use him. Mila immediately sees the man inside, the one who matters, and finds herself falling for him despite the danger involved in letting her guard down around him. They both have secrets. They both have a mysterious past. Will their beautiful and unexpected love survive when the truth finally comes out? An office drudge by day, a free spirit by night... For Emery Granger, getting laid off from her job as a computer programmer liberated her from imprisonment in an office cubicle. The problem? She has no career and almost no money. 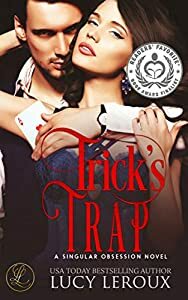 Desperate to forget her quandary for one weekend, she takes off on a spontaneous trip to New Orleans -- where the unconventional American collides with a sizzling-hot Scot. Uptight lawyer by day, steamy seducer by night... After surviving three disastrous failed marriages, Rory MacTaggart has no desire to get entangled in another relationship. But with his two brothers now living in wedded bliss, he's enduring the well-meaning pestering of his entire family. Rory's solution? Get himself a trophy wife. 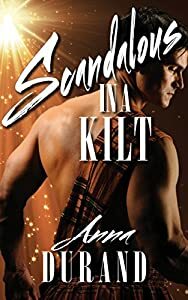 A one-night stand leads to a marriage of convenience, and a culture clash when Emery must adjust to a new life in Scotland and her new husband's need for rules. When Rory's ordered life explodes, the reluctant husband may just have met his match in the passionate, adventurous wife he swears he will never love. Award winning Author of the Shattered Inncence Trilogy!!! A commanding military man Maximus Aurelius Moore covertly indulges his demanding sexual nature while secretly controlling a complex business life as a venture capitalist and heir to an Italian fortune. When he discovers a stunning dancer in Las Vegas, the enigmatic reserved man is shocked by his physical response to Seary, the star of Been Jammin', having thought himself incapable of such a response. Being an alpha male who makes things happen, he executes a plan for a long-term relationship with the untouchable diva to become his exclusive lover. This book was originally published with Ellora's Cave publishing under the same title.